The team was formally “authorized” by Rev Julie on Sunday 30th December 2018. 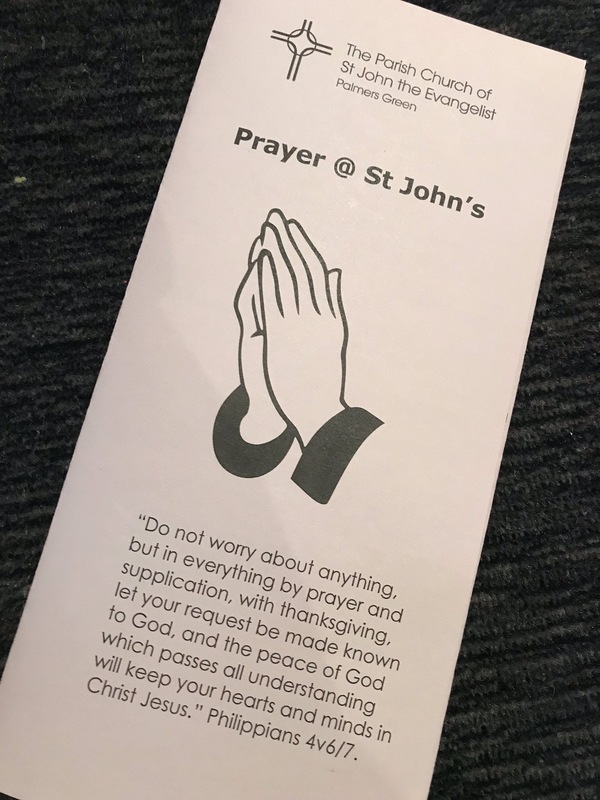 Our aim is to raise the profile of prayer at St John’s and encourage the congregation in their personal prayer lives as well as to pray with and for members of our congregation. It is a privilege for us to pray with members of the congregation who come forward for prayer. The prayer team continues to offer regular opportunities for personal prayer – at the third service in the month during Holy Communion and at the Healing service on the fifth Sunday of the month. This pattern continues in 2019 and the monthly church prayer meetings, to which all are invited, are held on the fourth Wednesday every month. We are currently looking to renew the prayer space in church and explore ways of supporting in prayer those of us who cant get to the regular church prayer meetings. The Prayer Team: Nick Easton; Jenny Godfrey; Julia Holder and Garry Langham.